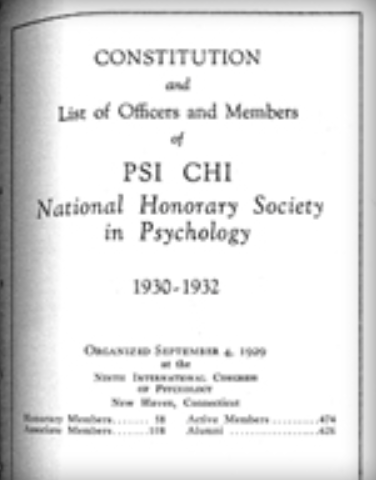 1952 The APA committee on Student Activities met with the Psi Chi Executive Committee agreeing that in the future, APA would provide space in the American Psychologist for news about Psi Chi.In addition, beginning with the next annual meeting in Cleveland, some provision would be made for Psi Chi at the convention. 2017 Columbia Psi Chi Honor Society is founded! In 1980, the Psi Chi Central Office was in the APA Headquarters building inWashington D.C.
B.F. Skinner, Psi Chi member and Distinguished Lecturer, with Ruth Cousins and members ofthe National Council at the Toronto National Convention.